Tiger Claw, Safari Guns, Menace, Quasarius, Amiga Forever 7, C64 Forever 7, OS4Depot, Aminet, AmiCast, Projekt Rot, VA 2000, VA 2000CX. 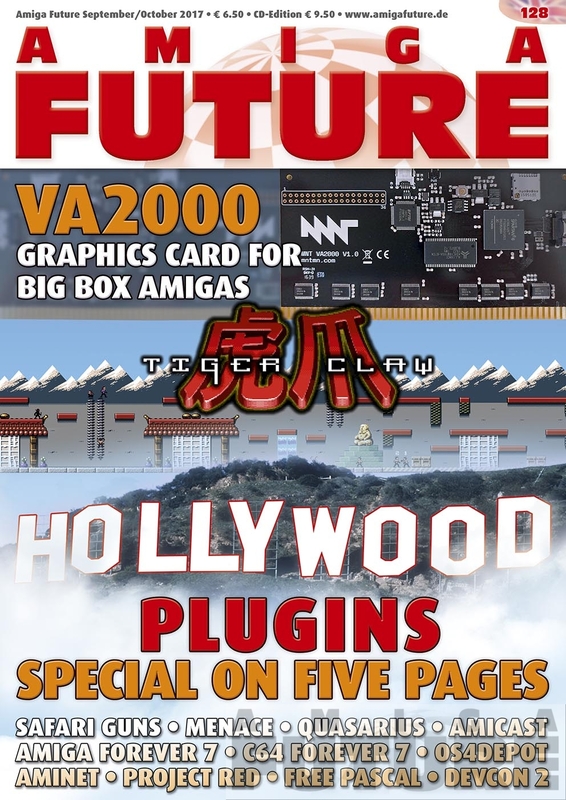 Trevors Soapbox, Hollywood-plugins, Free Pascal, Virtual floppy diskspart part 2, Demoscene. Interview Marcus Sackrow, Imprint, Editorial, Content, News, Content CoverCD, Letters to the editor.